Charlotte, NC, January 27, 2017 --(PR.com)-- Lineage is thrilled to announce plans to relocate its Charlotte, NC office beginning January 23, 2017. Lineage’s Charlotte office will be moving to 1629 Cross Beam Drive Charlotte, NC 28217. However, all phone, fax numbers and email addresses will remain the same. According to Lineage’s president, Richard Williams, “The new location will provide better opportunities to serve clients and employees. The upgraded office will now include efficient space for better working conditions for current employees and offers support for future growth and expansion.” The new close work environment also seeks to increase work collaboration amongst employees. The 11,413-square foot building includes a new conference room that is more conducive to customer and internal classroom training. There is an upgraded lunch and breakroom area with a full working kitchen to promote healthier eating, and centralized recycling stations will be placed throughout the office to encourage short movement and exercise throughout the workday. There will also be an on-site fitness center to improve employee health and well-being. 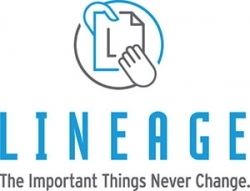 Lineage is a value-added reseller for several manufacturers that provide a full line of mailing equipment and services of a traditional presort/mail house. As the largest independent dealer for Neopost USA, Lineage provides a full line of mailing equipment, multi-functional copiers and printers. Lineage is committed to providing the best mail processing, printing, print finishing equipment, digital imaging technology and software solutions. For more information, visit trustlineage.com.